The history of Artificial Intelligence (AI) began in antiquity, with myths, stories and rumors of artificial beings endowed with intelligence or consciousness by master craftsmen. The seeds of modern AI were planted by classical philosophers who attempted to describe the process of human thinking as the mechanical manipulation of symbols. This work culminated in the invention of the programmable digital computer in the 1940s, a machine based on the abstract essence of mathematical reasoning. This device and the ideas behind it inspired a handful of scientists to begin seriously discussing the possibility of building an electronic brain. Library and information science (LIS) (sometimes given as the plural library and information sciences) or as "library and information studies" is a merging of library science and information science. The joint term is associated with schools of library and information science (abbreviated to "SLIS"). In the last part of the 1960s, schools of librarianship, which generally developed from professional training programs (not academic disciplines) to university institutions during the second half of the 20th century, began to add the term "information science" to their names. The first school to do this was at the University of Pittsburgh in 1964. More schools followed during the 1970s and 1980s, and by the 1990s almost all library schools in the USA had added information science to their names. Although there are exceptions, similar developments have taken place in other parts of the world. In Denmark, for example, the 'Royal School of Librarianship' changed its English name to The Royal School of Library and Information Science in 1997. Exceptions include Tromsø, Norway, where the term documentation science is the preferred name of the field, France, where information science and communication studies form one interdiscipline, and Sweden, where the fields of Archival science, Library science and Museology have been integrated as Archival, Library and Museum studies. Road transport or road transportation is a type of transport by using roads. Transport on roads can be roughly grouped into the transportation of goods and transportation of people. In many countries licensing requirements and safety regulations ensure a separation of the two industries. Movement along roads may be by bike or automobile, truck, or by animal such as horse or oxen. Standard networks of roads were adopted by Romans, Persians, Aztec, and other early empires, and may be regarded as a feature of empires. Cargo may be transported by trucking companies, while passengers may be transported via mass transit. Commonly defined features of modern roads include defined lanes and signage. Within the United States, roads between regions are connected via the Interstate Highway System. Information technology (IT) is the use of computers to store, retrieve, transmit, and manipulate data, or information, often in the context of a business or other enterprise. IT is considered to be a subset of information and communications technology (ICT). An information technology system (IT system) is generally an information system, a communications system or, more specifically speaking, a computer system – including all hardware, software and peripheral equipment – operated by a limited group of users. Singularitarianism is a movement defined by the belief that a technological singularity—the creation of superintelligence—will likely happen in the medium future, and that deliberate action ought to be taken to ensure that the singularity benefits humans. 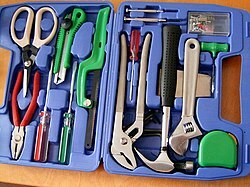 A tool is an object used to extend the ability of an individual to modify features of the surrounding environment. Although many animals use simple tools, only human beings, whose use of stone tools dates back hundreds of millennia, use tools to make other tools. The set of tools needed to perform different tasks that are part of the same activity is called gear or equipment. Mass communication is the study of how people exchange their information through mass media to large segments of the population at the same time with an amazing speed. In other words, mass communication refers to imparting and exchanging information on a large scale to a wide range of people. It is usually understood for relating newspaper, magazine, and book publishing, as well as radio, television and film, even via internet as these mediums are used for disseminating information, news and advertising. Mass communication differs from the studies of other forms of communication, such as interpersonal communication or organizational communication, in that it focuses on a single source transmitting information to a large number of receivers. The study of mass communication is chiefly concerned with how the content of mass communication persuades or otherwise affects the behavior, the attitude, opinion, or emotion of the person or people receiving the information. The Internet (contraction of interconnected network) is the global system of interconnected computer networks that use the Internet protocol suite (TCP/IP) to link devices worldwide. It is a network of networks that consists of private, public, academic, business, and government networks of local to global scope, linked by a broad array of electronic, wireless, and optical networking technologies. The Internet carries a vast range of information resources and services, such as the inter-linked hypertext documents and applications of the World Wide Web (WWW), electronic mail, telephony, and file sharing. Some publications no longer capitalize "internet". The knowledge economy is the use of knowledge (savoir, savoir-faire, savoir-être) to generate tangible and intangible values. Technology, and in particular, knowledge technology, helps to incorporate part of human knowledge into machines. This knowledge can be used by decision support systems in various fields to generate economic value. Knowledge economy is also possible without technology. Transhumanism (abbreviated as H+ or h+) is an international philosophical movement that advocates for the transformation of the human condition by developing and making widely available sophisticated technologies to greatly enhance human intellect and physiology. Antihumanism: any theory that is critical of traditional humanism and traditional ideas about humanity and the human condition. Cultural posthumanism: a branch of cultural theory critical of the foundational assumptions of humanism and its legacy that examines and questions the historical notions of "human" and "human nature", often challenging typical notions of human subjectivity and embodiment and strives to move beyond archaic concepts of "human nature" to develop ones which constantly adapt to contemporary technoscientific knowledge. Philosophical posthumanism: a philosophical direction which draws on cultural posthumanism, the philosophical strand examines the ethical implications of expanding the circle of moral concern and extending subjectivities beyond the human species. Posthuman condition: the deconstruction of the human condition by critical theorists. Transhumanism: an ideology and movement which seeks to develop and make available technologies that eliminate aging and greatly enhance human intellectual, physical, and psychological capacities, in order to achieve a "posthuman future". AI takeover: A more pessimistic alternative to transhumanism in which humans will not be enhanced, but rather eventually replaced by artificial intelligences. Some philosophers, including Nick Land, promote the view that humans should embrace and accept their eventual demise. This is related to the view of "cosmism", which supports the building of strong artificial intelligence even if it may entail the end of humanity, as in their view it "would be a cosmic tragedy if humanity freezes evolution at the puny human level". Voluntary Human Extinction, which seeks a "posthuman future" that in this case is a future without humans. Perceived usefulness (PU) – This was defined by Fred Davis as "the degree to which a person believes that using a particular system would enhance his or her job performance". Perceived ease-of-use (PEOU) – Davis defined this as "the degree to which a person believes that using a particular system would be free from effort" (Davis 1989). 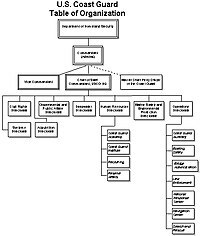 An organization chart for the United States Coast Guard shows the hierarchy of managerial roles in that organization. Management (or managing) is the administration of an organization, whether it is a business, a not-for-profit organization, or government body. Management includes the activities of setting the strategy of an organization and coordinating the efforts of its employees (or of volunteers) to accomplish its objectives through the application of available resources, such as financial, natural, technological, and human resources. The term "management" may also refer to those people who manage an organization. 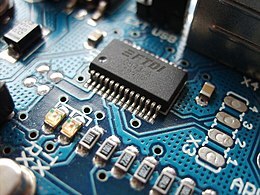 Electronics comprises the physics, engineering, technology and applications that deal with the emission, flow and control of electrons in vacuum and matter. The identification of the electron in 1897, along with the invention of the vacuum tube, which could amplify and rectify small electrical signals, inaugurated the field of electronics and the electron age. The Sukhoi Su-30 is a twin-engine, two-seat supermaneuverable fighter aircraft developed by Russia's Sukhoi Aviation Corporation. It is a multirole fighter for all-weather, air-to-air and air-to-surface deep interdiction missions. An escalator is a moving staircase for carrying people between floors of a building. The device consists of a motor-driven chain of individual, linked steps that move up or down on tracks, allowing the step treads to remain horizontal. Union Pacific 844 is a 4-8-4 steam locomotive built by American Locomotive Company and owned by Union Pacific Railroad. The Mazda RX-8 is a 2-door quad coupé sports car manufactured by Mazda Motor Corporation. The Commodore 64 is an 8-bit home computer introduced in January 1982 by Commodore International. It is sometimes compared to the Ford Model T automobile for its role in bringing a new technology to middle-class households. The International Space Station (ISS) is a habitable artificial satellite in low Earth orbit. A joint effort by NASA, the Russian Federal Space Agency, JAXA, ESA, and CSA, it is the ninth space station to be inhabited. An astrolabe is an elaborate inclinometer, historically used by astronomers, navigators, and astrologers for predicting the position of celestial bodies, triangulation, and to cast horoscopes. MS Majesty of the Seas is a Sovereign-class cruise ship owned and operated by Royal Caribbean International. Movable type is the system of printing and typography that uses movable components to reproduce the elements of a document, usually individual letters or punctuation. Enriched uranium is a type of uranium in which the percentage composition of uranium-235 has been increased through the process of isotope separation. It is a critical component for both civil nuclear power generation and military nuclear weapons. The M198 howitzer is a modern artillery piece that has been in use by the militaries of United States and other nations since 1979. The Falkirk Wheel is a rotating boat lift that connects the Forth and Clyde Canal with the Union Canal in Scotland. Li-Fi (/ˈlaɪfaɪ/; short for light fidelity) is a technology for wireless communication between devices using light to transmit data and position. In its present state only LED lamps can be used for the transmission of visible light. The term was first introduced by Harald Haas during a 2011 TEDGlobal talk in Edinburgh. In technical terms, Li-Fi is a visible light communications system that is capable of transmitting data at high speeds over the visible light spectrum, ultraviolet and infrared radiation. A volumetric display device is a graphic display device that forms a visual representation of an object in three physical dimensions, as opposed to the planar image of traditional screens that simulate depth through a number of different visual effects. One definition offered by pioneers in the field is that volumetric displays create 3D imagery via the emission, scattering, or relaying of illumination from well-defined regions in (x,y,z) space. Though there is no consensus among researchers in the field, it may be reasonable to admit holographic and highly multiview displays to the volumetric display family if they do a reasonable job of projecting a three-dimensional light field within a volume. Reenactment of the first heart transplant, performed in South Africa in 1967. Organ transplantation is a medical procedure in which an organ is removed from one body and placed in the body of a recipient, to replace a damaged or missing organ. The donor and recipient may be at the same location, or organs may be transported from a donor site to another location. Organs and/or tissues that are transplanted within the same person's body are called autografts. Transplants that are recently performed between two subjects of the same species are called allografts. Allografts can either be from a living or cadaveric source. 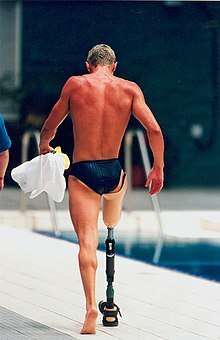 Prosthetics, the artificial replacement of organic limbs or organs, often play a role in fiction, particularly science fiction, as either plot points or to give a character a beyond normal appearance. Numerous works of literature, television, and films feature characters who have prosthetics attached. An Olympus Stylus camera without the case, showing the flex circuit assembly. The Bloch sphere is a representation of a qubit, the fundamental building block of quantum computers. Quantum computing is the use of quantum-mechanical phenomena such as superposition and entanglement to perform computation. A quantum computer is used to perform such computation, which can be implemented theoretically or physically. Transrapid 09 at the Emsland test facility in Germany. Transrapid is a German-developed high-speed monorail train using magnetic levitation. Planning for the Transrapid system started in 1969 with a test facility for the system in Emsland, Germany completed in 1987. In 1991 technical readiness for application was approved by the Deutsche Bundesbahn in cooperation with renowned universities. The Tupolev Tu-144 (Russian: Tyполев Ту-144; NATO reporting name: Charger) is a retired jet airliner and commercial supersonic transport aircraft (SST). It is one of only two SSTs to enter commercial service; the other being the Anglo-French Concorde. The design was a product of the Tupolev design bureau, headed by Alexei Tupolev, of the Soviet Union and manufactured by the Voronezh Aircraft Production Association in Voronezh, Russia. It conducted 55 passenger service flights, at an average service altitude of 16,000 metres (52,000 ft) and cruised at a speed of around 2,000 kilometres per hour (1,200 mph) (Mach 1.6). Spaceflight (also written space flight) is ballistic flight into or through outer space. Spaceflight can occur with spacecraft with or without humans on board. Yuri Gagarin of the Soviet Union was the first human to conduct a spaceflight. Examples of human spaceflight include the U.S. Apollo Moon landing and Space Shuttle programs and the Russian Soyuz program, as well as the ongoing International Space Station. Examples of unmanned spaceflight include space probes that leave Earth orbit, as well as satellites in orbit around Earth, such as communications satellites. These operate either by telerobotic control or are fully autonomous. The Strategic Defense Initiative (SDI) was a proposed missile defense system intended to protect the United States from attack by ballistic strategic nuclear weapons (intercontinental ballistic missiles and submarine-launched ballistic missiles). The concept was first announced publicly by President Ronald Reagan on 23 March 1983. Reagan was a vocal critic of the doctrine of mutual assured destruction (MAD), which he described as a "suicide pact", and he called upon the scientists and engineers of the United States to develop a system that would render nuclear weapons obsolete. Blu-ray or Blu-ray Disc (BD) is a digital optical disc data storage format. It was designed to supersede the DVD format, and is capable of storing several hours of video in high-definition (HDTV 720p and 1080p) and ultra high-definition resolution (2160p). The main application of Blu-ray is as a medium for video material such as feature films and for the physical distribution of video games for the PlayStation 3, PlayStation 4, and Xbox One. The name "Blu-ray" refers to the blue laser (actually a violet laser) used to read the disc, which allows information to be stored at a greater density than is possible with the longer-wavelength red laser used for DVDs. The AeroVironment Global Observer is a concept for a high-altitude, long endurance unmanned aerial vehicle, designed by AeroVironment (AV) to operate as a stratospheric geosynchronous satellite system with regional coverage. A tablet computer, commonly shortened to tablet, is a mobile device, typically with a mobile operating system and touchscreen display processing circuitry, and a rechargeable battery in a single thin, flat package. Tablets, being computers, do what other personal computers do, but lack some input/output (I/O) abilities that others have. Modern tablets largely resemble modern smartphones, the only differences being that tablets are relatively larger than smartphones, with screens 7 inches (18 cm) or larger, measured diagonally, and may not support access to a cellular network. A directed-energy weapon (DEW) is a ranged weapon that damages its target with highly focused energy, including laser, microwaves and particle beams. Potential applications of this technology include weapons that target personnel, missiles, vehicles, and optical devices. 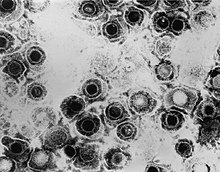 An illustration of viral vector-mediated gene transfer using an adenovirus as the vector. Gene doping is the hypothetical non-therapeutic use of gene therapy by athletes in order to improve their performance in those sporting events which prohibit such applications of genetic modification technology, and for reasons other than the treatment of disease. , there is no evidence that gene doping has been used for athletic performance-enhancement in any sporting events. Gene doping would involve the use of gene transfer to increase or decrease gene expression and protein biosynthesis of a specific human protein; this could be done by directly injecting the gene carrier into the person, or by taking cells from the person, transfecting the cells, and administering the cells back to the person. Animation 1. 3D measurement of self-healing material from Tosoh Corporation measured by digital holographic microscopy. The surface has been scratched by a metallic tool. Self-healing materials are artificial or synthetically-created substances which have the built-in ability to automatically repair damage to themselves without any external diagnosis of the problem or human intervention. Generally, materials will degrade over time due to fatigue, environmental conditions, or damage incurred during operation. Cracks and other types of damage on a microscopic level have been shown to change thermal, electrical, and acoustical properties of materials, and the propagation of cracks can lead to eventual failure of the material. In general, cracks are hard to detect at an early stage, and manual intervention is required for periodic inspections and repairs. In contrast, self-healing materials counter degradation through the initiation of a repair mechanism which responds to the micro-damage. Some self-healing materials are classed as smart structures, and can adapt to various environmental conditions according to their sensing and actuation properties. The 2015 Toyota Mirai is one of the first hydrogen-fuel-cell vehicles to be sold commercially. 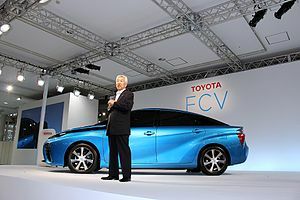 The Mirai is based on the Toyota FCV concept car (shown). A hydrogen vehicle is a vehicle that uses hydrogen as its onboard fuel for motive power. Hydrogen vehicles include hydrogen-fueled space rockets, as well as automobiles and other transportation vehicles. The power plants of such vehicles convert the chemical energy of hydrogen to mechanical energy either by burning hydrogen in an internal combustion engine, or, more commonly, by reacting hydrogen with oxygen in a fuel cell to run electric motors. Widespread use of hydrogen for fueling transportation is a key element of a proposed hydrogen economy. 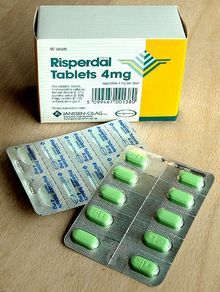 Talimogene laherparepvec is a biopharmaceutical drug to treat melanoma lesions that cannot be operated on; it is injected directly into the lesion. As of 2016 there was no evidence that it extends the life of people with melanoma, or that it prevents metastasis. New Harvest is a donor-funded research institute dedicated to the field of cellular agriculture, focusing on advances in scientific research efforts surrounding cultured animal products. It highlights growing environmental and ethical concerns associated with industrial livestock production. ... that Scott G. Borg is credited with helping develop the drilling technology that retrieved the first pure water samples from half a mile (0.8 km) below the surface of an ice-covered Antarctic lake? ... that Edward Hutchinson Synge described a theory for a near-field scanning optical microscope in a letter to Albert Einstein fifty years before various corporations sought patents on the technology? ... that William A. Starrett, builder of the Empire State Building, sent his steel construction technology to Japan to help design buildings to resist earthquakes? ... that Jill S. Tietjen tries to supply more role models for women in engineering and technology by regularly nominating candidates for awards and halls of fame? ... that Czech-Israeli food technology researcher Zdenka Samish said that every fruit and vegetable can be made into jam? ... that XTC's Oranges & Lemons, released 30 years ago today, reinterpreted 1960s psychedelic music styles using 1980s instrumentation and technology? Do you have a question about Technology that you can't find the answer to? For editor resources and to collaborate with other editors on improving Wikipedia's Technology-related articles, see WikiProject Technology. Victor Babeș (Romanian pronunciation: [ˈviktor ˈbabeʃ]; 28 July 1854 in Vienna – 19 October 1926 in Bucharest) was a Romanian physician, bacteriologist, academician and professor. One of the founders of modern microbiology, Victor Babeș is author of one of the first treatises of bacteriology in the world – Bacteria and their role in pathological anatomy and histology of infectious diseases, written in collaboration with French scientist V. A. Cornil in 1885. In 1888, Babeș underlies the principle of passive immunity, and a few years later enunciates the principle of antibiosis. He made early and significant contributions to the study of rabies, leprosy, diphtheria, tuberculosis and other infectious diseases. He also discovered more than 50 unknown germs and foresaw new methods of staining bacteria and fungi. Victor Babeș introduced rabies vaccination and founded serotherapy in Romania. Sennacherib was the king of Assyria from 705 BCE to 681 BCE. He is principally remembered for his military campaigns against Babylon and Judah, and for his building programs – most notably at the Akkadian capital of Nineveh. He was assassinated in obscure circumstances in 681 BCE, apparently by his eldest son (his designated successor, Esarhaddon, was the youngest). Willard Sterling Boyle, CC (August 19, 1924 – May 7, 2011) was a Canadian physicist. He was a pioneer in the field of laser technology and co-inventor of the charge-coupled device. As director of Space Science and Exploratory Studies at Bellcomm he helped select lunar landing sites and provided support for the Apollo space program. Wallace H. Coulter (February 17, 1913 – August 7, 1998) was an American electrical engineer, inventor, and businessman. The best known of his 85 patents is the Coulter principle, which provides a method for counting and sizing microscopic particles suspended in fluid. His invention of the Coulter Counter made possible today’s most common medical diagnostic test: the complete blood count (CBC). The Coulter principle is used in quality control of consumer products, such as chocolate and beer, paint and toners, and was even used to analyze moon dust. CSI CIE FRS(/boʊs/;, IPA: [dʒɔɡodiʃ tʃɔndro bosu]; 30 November 1858 – 23 November 1937), also spelled Jagdish and Jagadis, was a polymath, physicist, biologist, biophysicist, botanist and archaeologist, and an early writer of science fiction from India. 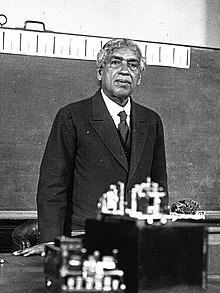 He pioneered the investigation of radio and microwave optics, made significant contributions to plant science, and laid the foundations of experimental science in the Indian subcontinent. IEEE named him one of the fathers of radio science. Bose is considered the father of Bengali science fiction, and also invented the crescograph, a device for measuring the growth of plants. A crater on the moon has been named in his honour. Gerhard M. Sessler (born 15 February 1931 in Rosenfeld, Baden-Württemberg, Germany) is a German inventor and scientist. Together with James E. West, Sessler invented the foil electric microphone at Bell Laboratories in 1962 and the silicon microphone (co-inventor: D. Hohm) in 1983. Stephen Gary "Woz" Wozniak (/ˈwɒzniæk/; born August 11, 1950), is an American inventor, electronics engineer, programmer, philanthropist, and technology entrepreneur who in 1976 co-founded Apple Inc., which later became the world's largest information technology company by revenue and largest company in the world by market capitalization. He and Apple co-founder Steve Jobs are widely recognized as pioneers of the personal computer revolution of the 1970s and 1980s. 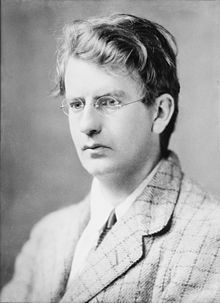 John Logie Baird FRSE (/ˈloʊɡi bɛərd/; 13 August 1888 – 14 June 1946) was a Scottish engineer, innovator, one of the inventors of the mechanical television, demonstrating the first working television system on 26 January 1926, and inventor of both the first publicly demonstrated colour television system, and the first purely electronic colour television picture tube. 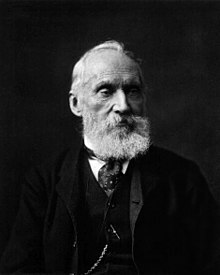 William Thomson, 1st Baron Kelvin, OM, GCVO, PC, FRS, FRSE (26 June 1824 – 17 December 1907) was a Scots-Irish mathematical physicist and engineer who was born in Belfast in 1824. At the University of Glasgow he did important work in the mathematical analysis of electricity and formulation of the first and second laws of thermodynamics, and did much to unify the emerging discipline of physics in its modern form. 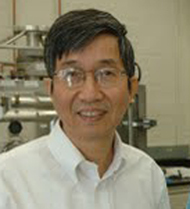 He worked closely with mathematics professor Hugh Blackburn in his work. He also had a career as an electric telegraph engineer and inventor, which propelled him into the public eye and ensured his wealth, fame and honour. For his work on the transatlantic telegraph project he was knighted in 1866 by Queen Victoria, becoming Sir William Thomson. He had extensive maritime interests and was most noted for his work on the mariner's compass, which previously had limited reliability. Mahmut Gazi Yaşargil (born July 6, 1925) is a Turkish medical scientist and neurosurgeon. He collaborated with Raymond M. P. Donaghy M.D at the University of Vermont in developing microneurosurgery. Yaşargil treated epilepsy and brain tumors with instruments of his own design. From 1953 until his retirement in 1993 he was first resident, chief resident and then professor and chairman of the Department of Neurosurgery, University of Zurich and the Zurich University Hospital. In 1999 he was honored as "Neurosurgery’s Man of the Century 1950–1999" at the Congress of Neurological Surgeons Annual Meeting. Ralph Hart Tweddell was featured in an article in Cassier's Magazine in January 1895, accompanied by this photo. Sir George Cayley, 6th Baronet (27 December 1773 – 15 December 1857) was an English engineer, inventor, and aviator. He is one of the most important people in the history of aeronautics. Many consider him to be the first true scientific aerial investigator and the first person to understand the underlying principles and forces of flight. from the frontispiece of his collected works (1866). 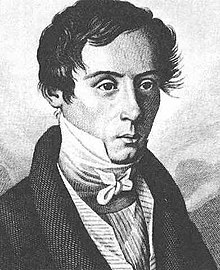 Augustin-Jean Fresnel (UK: /ˈfreɪnɛl/ FRAY-nəl, US: /freɪˈnɛl/ fray-NEL; French: [oɡystɛ̃ʒɑ̃ fʁɛnɛl]; 10 May 1788 – 14 July 1827) was a French civil engineer and physicist whose research in optics led to the almost unanimous acceptance of the wave theory of light, excluding any remnant of Newton's corpuscular theory, from the late 1830s until the end of the 19th century. Tracy Caldwell Dyson in the Cupola module of the International Space Station, observing the Earth below during Expedition 24. Caldwell Dyson is an American chemist and astronaut. She was selected by NASA in 1998 and made her first spaceflight in August 2007 on the STS-118 mission aboard Space Shuttle Endeavour. This page was last edited on 19 April 2019, at 02:53 (UTC).